The new 670 pupil Lynnfield Middle School was designed to blend seamlessly with the surrounding colonial architecture of the Town. 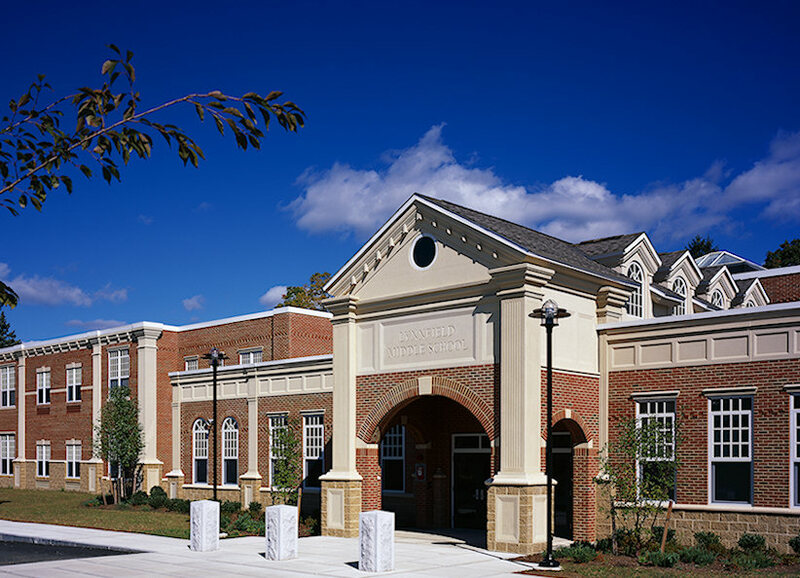 The strategic manipulation and placement of the Library Media Center, Cafeteria, and Main Entry allow the building to appear as an assemblage of smaller colonial buildings with appropriate scale, detail, and proportions. The completed project is a source of civic pride town-wide, and serves as a model of 21st Century Middle School education for the Lynnfield School Department.